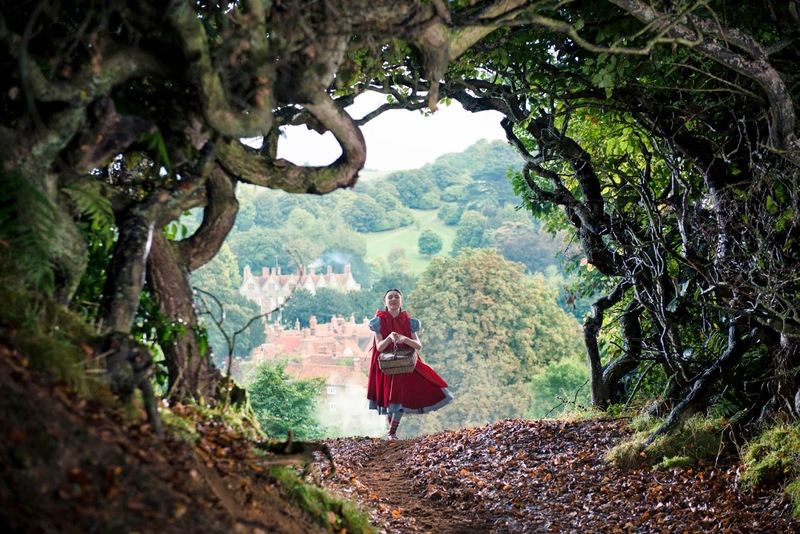 It's not theatre but the source material is, and Into the Woods makes for a nice film. There are some things to admire in this film which is a mash up of fairy tales tells the story of what happens when the characters get their wishes and try and live happily ever after. While some songs are lost from the stage musical, the end result is a shorter, more focussed story. But something seems to get lost lately when musicals are adapted for the screen. Like other film adaptations it suffers from some poor choices in casting. Notably James Corden, who is not known for his singing abilities, in the central role of the baker. His performance comes across as a bit one note and lacking any sense of comic timing (or charisma). And Corden's voice, while not as bad as hearing Russell Crowe sing flatly in Les Miserables, it comes a close second. But at least the film was directed by Rob Marshall who clearly does have a vision for how the piece should work, even if at times his vision is bit too sanitised. Then again this is the man who took the sexiness out of Chicago, and everything out of Nine so you do come forewarned. 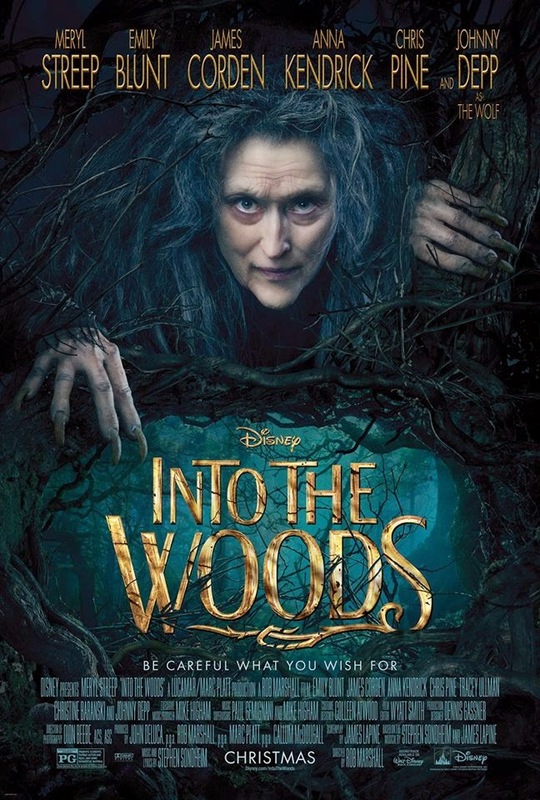 Into the Woods is probably Stephen Sondheim's best known and most performed work. Catching it last time live at Regent Park Theatre it was a wonder to watch as the performers emerged from the trees around the theatre. Here the film at times seemed a bit too realistic and the decision to locate scenes outdoors seems to lesson the magic of the story. Although at least the benefit of a film adaptation is you can see a fresh perspective and more subtle performances. And it is here where Emily Blunt as the bakers wife, Meryl Streep as the witch and Anna Kendrick as Cinderella fare best. All three deliver a fresh interpretation on their respective roles that you could feel you are watching it for the first time. A highlight is Kendrick's high soprano rendition of "On the Steps of the Palace" which shows the potential magic of movie musicals that perhaps the rest of the film does not quite live up to. When the peril does finally come to the characters in the second half of the film, Frances de la Tour as the lady giant seeking revenge does not quite instil the fear and sense of peril you would expect. Maybe being familiar with her scene chewing work on stage and television doesn't help, but nor does dressing her up as a suffragette. As the young boy Jack (or very young boy in this interpretation), there needs to be a moratorium on casting Daniel Huttlestone in any other film, until someone teaches him how to stop overacting. His performance was annoying enough to have you hoping he really would get thrown to the giant. Of the men, Chris Pine and Billy Magnussen fare best at blending the comic and tragic elements of the story, as the two princes trying to get their brides. Agony becomes a chest baring, water-spraying showstopper. All told a nice admirable translation. But nice really is different than good.